Oh my goodness you all! There were so many fabulous projects last week my head was spinning! I’m guessing this week will be very similar. Here are some of the projects I wanted to make sure you didn’t miss from last week’s party! Christmas Typography Painted Rug by Twenty Something. 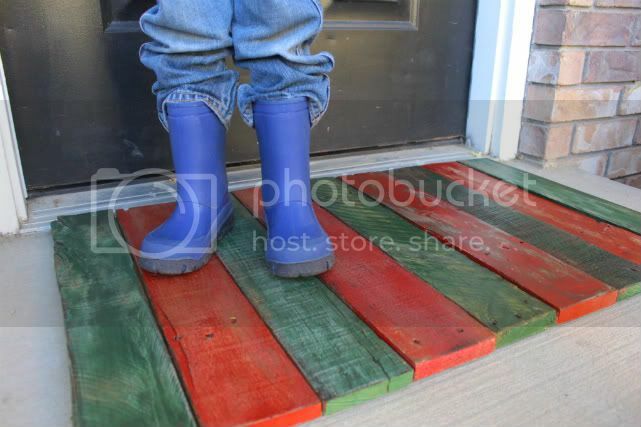 Pallet Christmas Rug by The Rooster and the Hen. 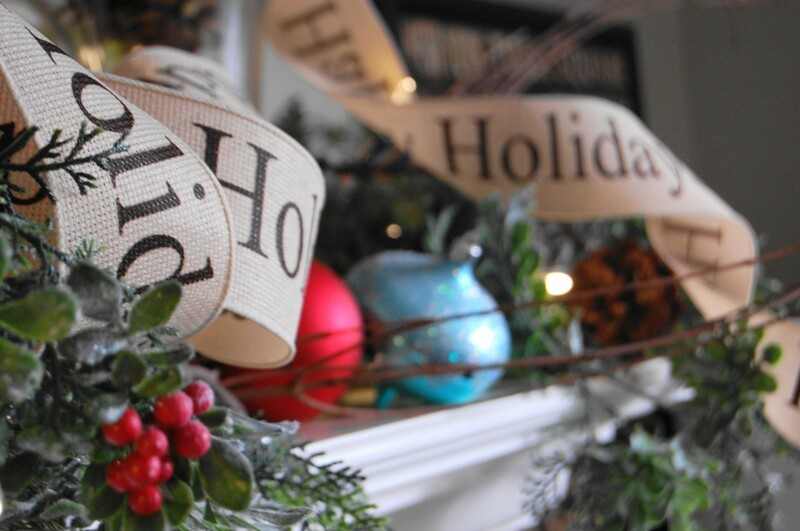 How to Decorate a Christmas Mantel by A Pop of Pretty. 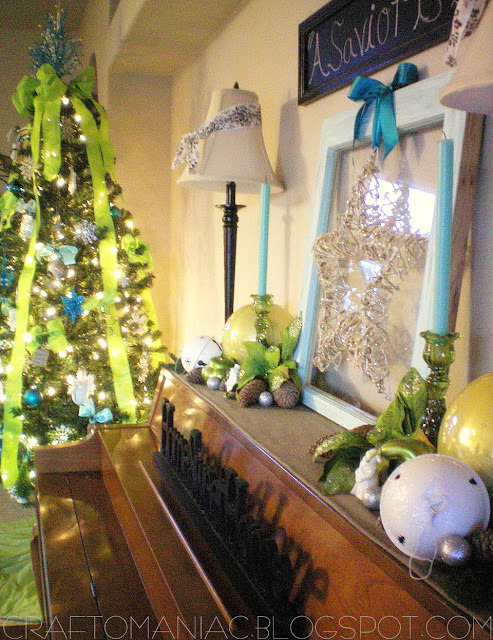 Fast and Free Christmas Decorating by The Yellow Cape Cod. How to Create a Tablescape by The Decor Scene Blog. No Sew Mitten Advent Calendar by Just the Bee’s Knees. 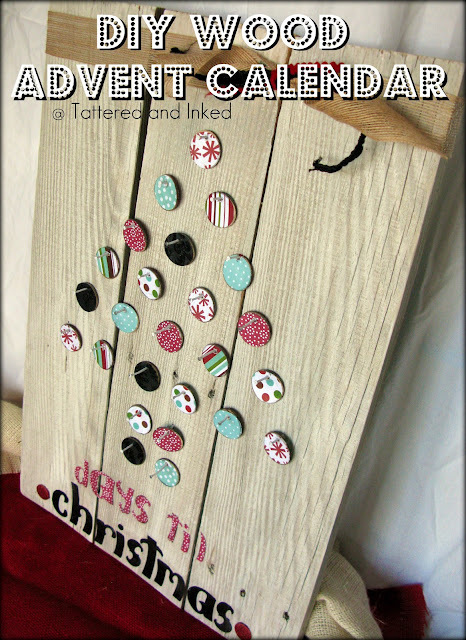 DIY Wood Advent Calendar by Tattered and Inked. 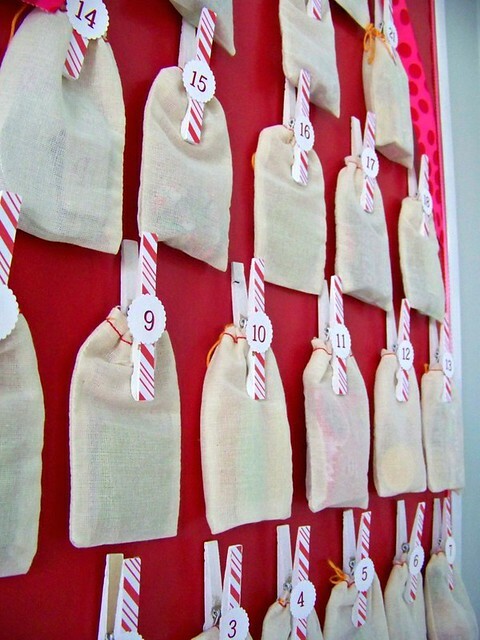 Clothespin Advent Calendar by Hi Sugarplum. Matchbox Advent Calendar by Alderberry Hill. Vintage Coke Crate Advent Calendar by B&B’s Nest. Knock-off Ballard Designs Advent Calendar Pillow by Home.Made. 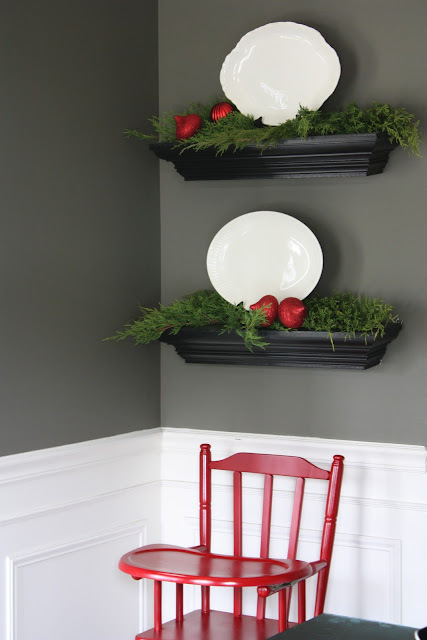 Bucket Advent Calendar by Craftberry Bush. 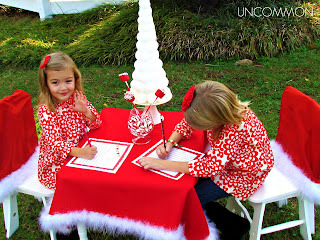 Letter to Santa Party by Uncommon. 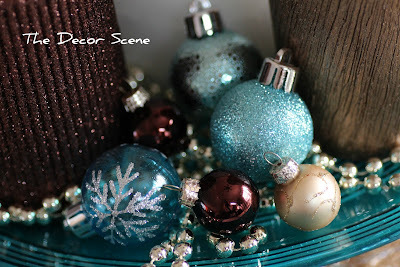 Green Apple & Turqouise Christmas by Craftomaniac. Vintage Costume Jewelry Tree by Burlap & Denim. Simple Feather Trees by It’s Overflowing. 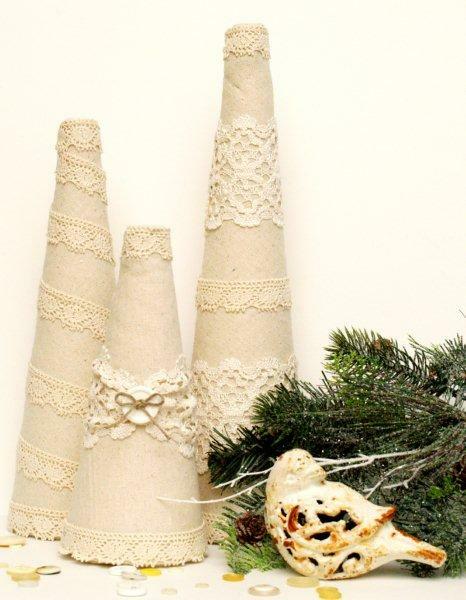 Linen and Lace Trees by Flamingo Toes. Pottery Barn Inspired Stocking Pillow by Confessions of a Plate Addict. Thank you so much to everyone who linked up! If you were featured, please feel free to grab a button and let the world know! I love hosting this party and featuring your projects, but I do have some rules. Please be considerate and follow them if you’re going to link up. Thanks! AWESOME FEATURES…so many I love that I’ll need to block time to see them all. thanks for hosting. Woohooo! I can’t wait to check out all these features! 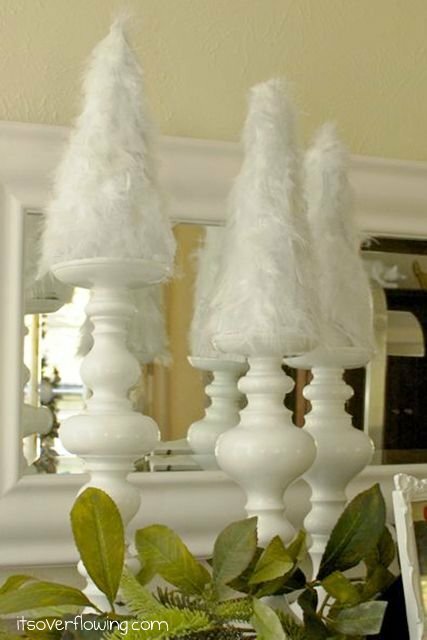 Thanks so much for including my Linen Trees! WOW!! OH my goodness those are some amazing projects! WOW!! Those are great features!! Thanks for being the hostess with the mostess! Thanks for hosting – always so many great ideas! Such great ideas! Thanks for hosting, I’m looking forward to all of the inspiration. Thank you for featuring my fast and free decorating. Your parties are so full of inspiration. Thank you for hosting every week. Thanks so much for featuring my matchbox advent calendar, I really appreciate it! A lot of great ideas! I love seeing what people come up with week after week. Thanks for hosting. Wow, love that painted rug! 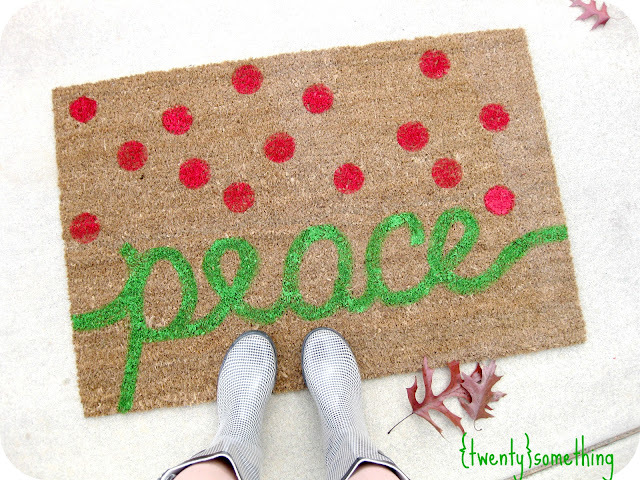 What a fun idea and easy to make new ones for changing seasons! Such great features and inspiration! Thank you for hosting! SO FUN to see my advent included! Thanks Beth!! I’m all linked up (and linked back) again this week…thanks for hosting such a fab party!! Happy Holidays Beth! Thanks for hosting. I love all the cool advent calendars. That pallet rug was really unique too. Hey, Beth! Thanks for hosting. My tute is actually a knock-off of Viv’s – a little different just ’cause I didn’t read her instructions :p.
Thank you for hosting =) I loved the Xmas decor from craftomaniac!! Thank you so much for hosting!! Those are some fabulous features! Thanks so much for the feature!! What amazing projects!! Oh I just love this time of year:) Thanks for hosting Beth! Your blog is amazing! Thank you for hosting a Linky Party! What fun! PS I’m hosting a jewelry giveaway if you’re interested! Thank you for hosting, Beth!! 🙂 I linked up my Ugly Christmas Sweater Party! Thanks for the feature Beth, all your choices were so amazing!